I don't know any writer who likes the prospect of creating an outline. That's probably because we all remember being taught that horrible "1,2,3 -- A,B,C" format in high school. (Hands up, everyone who used to get around those exercises by writing a paper first, and then creating the outline after the paper was done?) Relax -- I'm not going to "teach" that kind of outline. An outline is simply a way to construct a road map of where you want to go with your article. Another way to look at an outline is to think of it as a filing cabinet. When you research your article, you're going to gather a lot of information. How will you know what to put in and what to leave out? By creating an "outline" that, in a sense, places "headers" on the files in your cabinet, you'll know whether the information you've gathered fits into the "files" that you have -- or whether it doesn't. If you don't have a "file" for that information, chances are that the information doesn't belong in your article. This, by the way, is an outline. It can be as simple as that. Besides serving as a framework for my article, it provided a framework for my research: I knew what types of questions I had to ask, based on the information I wanted to include. I researched the article on the Web and by interviewing experts, asking questions based on my four topic areas -- and "filing" that information in the appropriate place. If information came in that didn't fit into one of these four areas, I knew that it probably didn't belong in my article. Having that core concept or slant is essential. It tells you what is vital to your article -- what is at the center of your idea -- and what isn't. If you have information or thoughts that don't relate directly to the core concept, then that information probably doesn't belong in the article. I'm no fan of the "1,2,3 -- A,B,C" approach to outlines. This approach tends to get one bogged down in the mechanics -- Is this a subset of #2? Should I move this section here? There are easier ways to put your ideas and information in order. • How common is cancer in cats? • What kinds of cancer affect cats? • What cats are at greatest risk? • How can I tell if my cat has cancer? • What can I do if my cat has cancer? • What kinds of treatments are available to me? • What are their success rates? • What are their risks to my cat? • How long will my cat live if it has cancer? • Can I prevent my cat from getting cancer? • Where do I go to get more help? Sometimes, simply jotting down a list of questions is all you need to define the basic areas your article will cover, and even the order in which you might wish to cover them. • Is your cat at risk? Subheads help you organize your information logically. You'll also be able to determine whether your article is "in balance." If you have 250 words under one subhead and 1000 under another, chances are you need to reorganize the article. 4) List points in logical order. Many how-to articles have an obvious logical order: Do this first, do this next, do this next, and do this last. 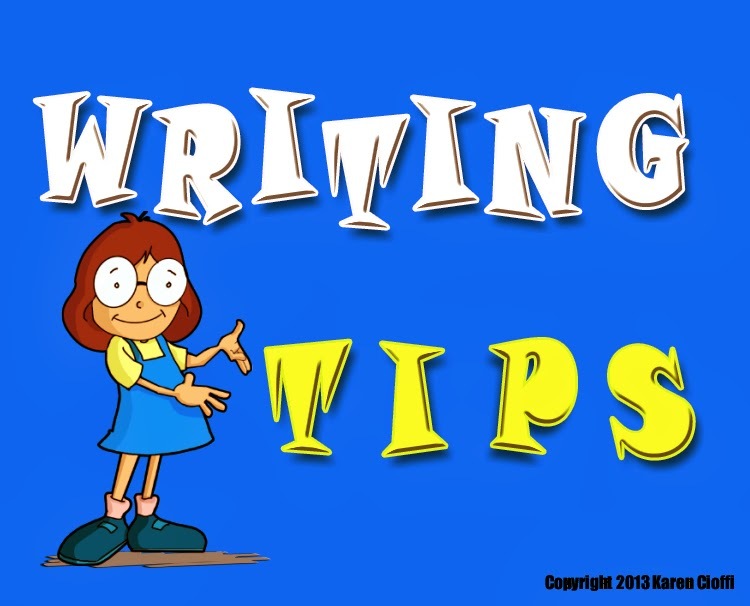 Your outline here may consist simply of a list of things to do, and the order in which the reader should do them. This works well for a how-to article, for example. A travel article might also have a logical order, based on the order in which one would see or visit a location. If, for example, you'd start at Point A and travel to Point X, a logical way to present your information is in the order in which the traveler following your route would encounter it. This works even for a single location: Trace the route a traveler would take if walking through a site, such as a castle or museum. 5) Make a list. List all the pieces of information that you'd like to include in the article. Then, go over that list and assign numbers to each item based on its importance or priority. For example, if you're writing a piece on ways to improve communication between spouses, jot down a list of all the suggestions you want to cover. Which tips are most important? Which are less important? Which could be omitted without any real harm to your article? You may find, when you're done, that you have a selection of key points, and perhaps a few "leftovers" that aren't as useful. In some cases, your list may become the actual structure of your finished article ("Five ways to improve communication with your spouse"); in others, it may become the "hidden" structure that underlies your piece, even though you aren't numbering the points in the final article. Once you've mastered a few alternatives to the classic, hated approach to outlines, you'll find that organizing your material -- and your article -- is even easier than A,B,C! Copyright © 2003 Moira Allen. Excerpted from Starting Your Career as a Freelance Writer. Moira Allen is the editor of Writing-World.com (http://www.writing-world.com) and the author of more than 300 published articles. Her books on writing include Starting Your Career as a a Freelance Writer and The Writer's Guide to Queries, Pitches and Proposals. Thanks for these great tips Karen. It sure simplifies where to start with an article. I like listing the questions a reader might ask. This article does do a good job of breaking things down. Thanks for sharing this article. Lots of great tips! I agree, it's quite useful.